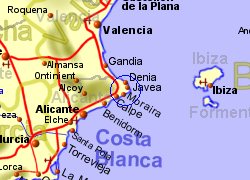 The village centre of Benitachell is located 4Km inland from the Costa Blanca coastline but the town also has 2Km of coastline. This costline has cliffs with attractive small bays, having either sandy or pebble beaches. 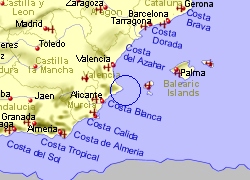 The village itself is relatively quiet when compared with some of the coastal resorts on the costa, and there are urbanisations in the surrounding area, including Cumbre del Sol, located near the coast. 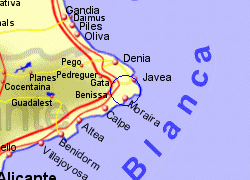 Map of the Benitachell area.